Today we celebrate the feast of the St. Lawrence – a deacon – and third century martyr. 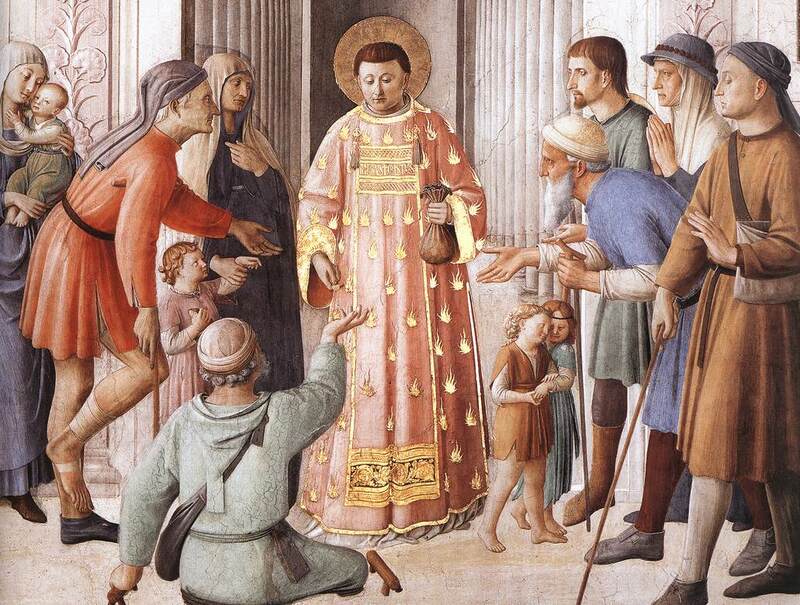 St. Lawrence was one of the seven deacons of Rome who ministered to the people and acted as the Pope’s administrators. There is little historical evidence remaining on St. Lawrence. His Acts had been lost by the time of St. Augustine. The tradition of the Church states that he was a native of northern Spain and was ordained by Pope St. Sixtus around AD 257. The Pope made him responsible for the distribution of the Church’s alms. Carl Brandon Strehlke mentions (in his contribution to Lawrence Kanter and Pia Palladino’s magnificent collection of essays and images on the life and works of Fra Angelico) that controvery with the story ensues at this point – the date of his martyrdom. Some accounts state that Lawrence was martyred under the emperor Decius (AD 249 – 251) and others insist that it was under the reign of Valerian (253 – 260). Regardless, the Church’s tradition states that Lawrence was martyred soon after the emperor Valerian issued an edict in early August of 257, requiring all bishops, priests, and deacons to be denied a trial and immediately be put to death. Valerian’s command was carried out. On the 6th of August Pope Sixtus II was arrested in the catacombs and executed, with two other deacons, Felicissimus and Agapitus. Lawrence is purported to have said, as the Pope and the two deacons were being led to torture, “Where are you going, Holy Father, without your son? Where, O Bishop, without your archdeacon? Before you never approached the altar of sacrifice without your servant, and now you are going without me?” St. Sixtus was said to have commented that he would follow them soon. You can understand that this story of faith and heroism had to be proclaimed and visualized. 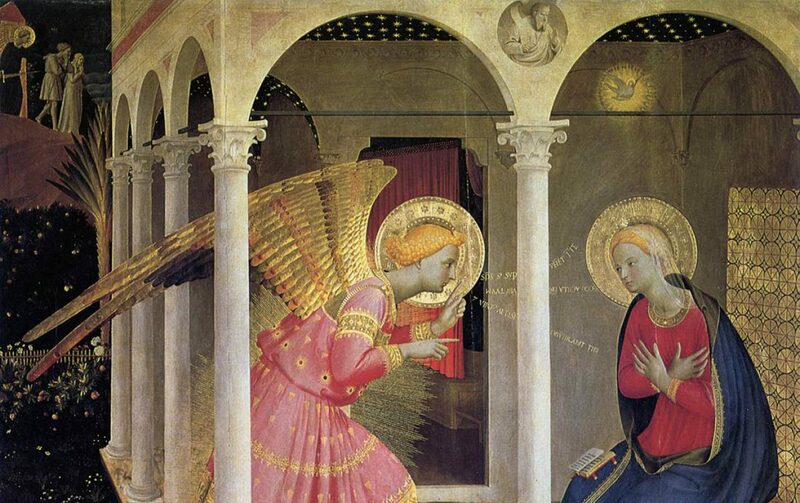 And close to 1200 years after the event, one of the finest painters in the Western tradition – Fra Angelico – was called to complete the task. The good Dominican friar was selected by Pope Nicholas V in 1447 to decorate a Vatican chapel dedicated to the two most famous archdeacons of the Church – the first century martyr St Stephen of Jerusalem, and the 3rd century martyr – St. Lawrence of Rome.